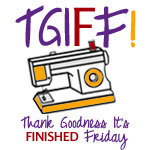 Welcome to Thank Goodness It's Finished Friday. TGIFF is your opportunity to showcase this week's finishes. 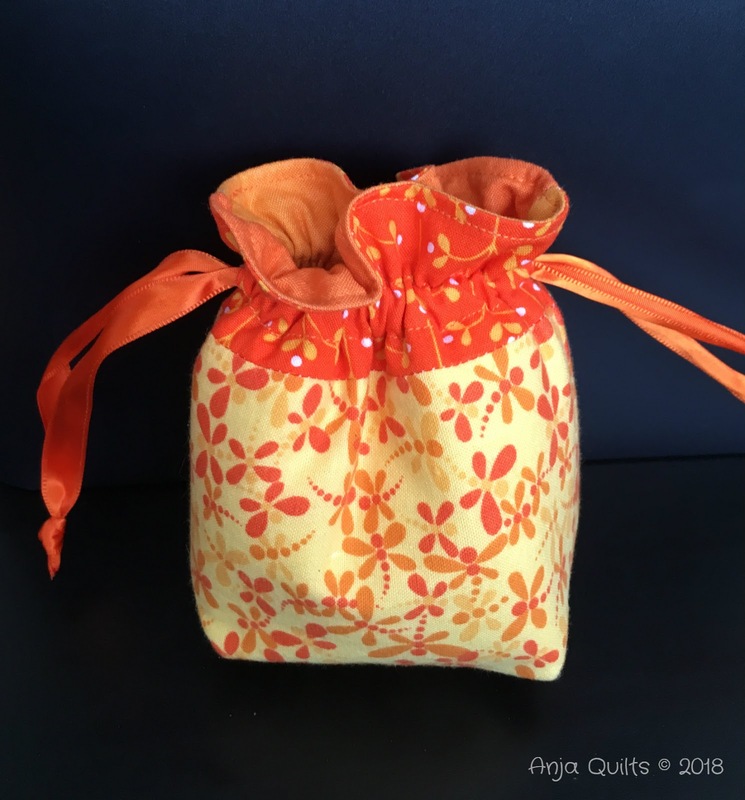 One of my favourite go-to patterns is the Lined Drawstring Bag by Jeni @ In Color Order. 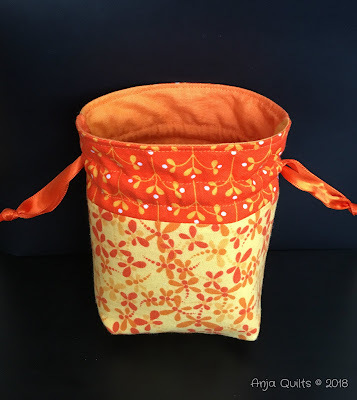 Jeni shares a free tutorial for one of the sizes, but you can purchase the pattern to get eight different sizes. I decided to try the Tiny size. I need a small bag to carry my mouth guard when I travel. It's usual plastic case is too bulky and cumbersome (includes a repair kit built into the bottom). I love the fabrics! I decided to use fusible fleece on the exterior panels for some padding. I was going to put more fusible fleece on the interior panels, but I didn't feel that it would be padded enough. So I jumped in with both feet and used Pellon Flex-Foam instead. I didn't have a clue what I was doing, so I made it up as I went along. I think things would have gone a lot more smoothly with a larger-sized bag. I'm happy with the results, but I'm not sure it's padded well enough. But really, it just needs to be protected while in my luggage. So all is good. The bag finishes approximately 4.5 x 3.25 inches. Link up your blog post showing your finish by using the linkup below. Don't forget to visit a few blogs to spread some quilty love and encouragement. Please include the TGIFF button or a link to the blog in your blog post so your followers can also view all the great finishes. Sew cute!!! I'm sure the Flex-Foam will add a good bit of padding. That is super cute!! Great colours! Your bag is adorable. I love that pattern, but I've never made one that small. What a great idea on the flex foam. I hope it works well for you. Thanks for hosting TGIFF! Sweet and juicy finish!!! Love it. That bag is so sweet Anja! Great fabrics, and I agree, it will work for your mouth guard, no problem. Love this little bag, perfect size for your needs and it goes without saying that the colours are amazing. You have such great taste. 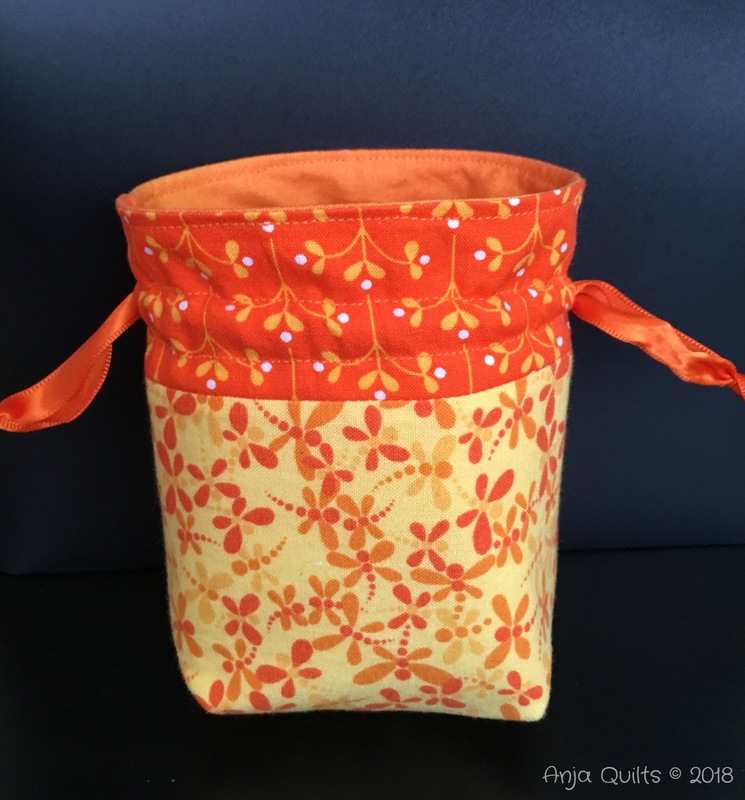 Hi Anja, that's a cute bag and very lovely fabric. Your little bag is so cute! I have the lined drawstring bag pattern and love it except (this is consistent for drawstring bags) I somehow have trouble operating drawstring bags?! I find them really difficult to close, somehow. It's a great little bag. I love it.